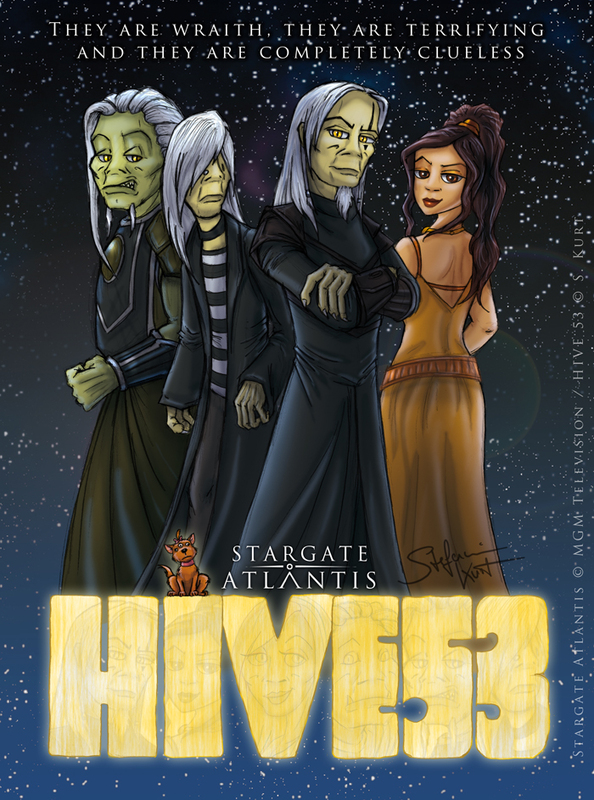 Stargate Atlantis Wraith artwork and literature community on deviantART. Check out the amazing work of highly talented people! One of the best (and most reliable) sources for everything Stargate. If your curiosity is not satisfied after browsing the site’s numerous info pages, you can also register for the forum which is a remarkable friendly place full of helpful people. For Wraith fans in particular, this thread, the Wraith Defenders Club is a valuable resource about every facet of Wraith life. From this thread also stems the Wraith Defenders Club Project, see below. Collection of links to Stargate actors’ websites and interesting blogs, includes a Wraith name list as compiled by members of the Wraith Defenders Club. Stargate-focused LARP and cosplay group with members from all over Germany and affiliates of many other sci-fi diners and clubs. Now inactive but the close bonds of friendship remain. Wraith cosplay and LARP, sister group and affiliate of the SGCG. For more information, they have a Playlist on Youtube, Facebook and twitter channel. German online fanzine. Includes a monthly eBook service featuring a wide range of well-researched reviews and articles about sci-fi, fantasy, horror, games and everything else the modern geek is interested in. Subscribe, you won’t regret it! Bilingual website, choose your language on the home page. Bilingual website, English version can be found here.